Our page has many charter buses in Greenville, SC to choose from. Buses start from 14 passenger minibuses and can go all the way to 56 passengers. The larger coaches feature many amenities, such as overhead and underneath storage, flat screen TVs, DVD players, & Wifi. Rates vary depending on the distance and time frame. To get a quote please fill out the form on this page or call us 24/7. You might find yourself traveling to Greenville because of one of the big festivals and special events that take place every year. The city hosts the state's largest comic book conventions and a comedy festival that brings in comedians and visitors from all across the country. We have a bus rental for every type of traveler, including convention attendants and those who just want to explore the city. We can help you find a bus that comes with air conditioning, seats that recline, large televisions and other great features. Use our charter bus services to make your trip go as smoothly as possible. One way you can make your South Carolina trip go smoothly is with an itinerary that you create at home. Before you leave, make a short or long list of some of the city's leading attractions. You'll find everything from science museums to state parks in this part of the state. Since opening in 1998, the Bon Secours Wellness Arena boasted some of the top acts in the world. This is the only place in the city that sells tickets to hockey games, concerts, comic performances and dozens of other shows. You might buy tickets to see the local Swamp Rabbits hockey team hit the ice, tickets to an upcoming rock or country concert or even tickets to ice shows. The arena also offers group tickets for those arriving with a larger group that can help you save money on all those great shows and performances. Taking a trip away from home is the perfect time to see shows that might not come to your city. While there are a number of more traditional theaters around the city, you might want to see one of the more unique shows performed at The Warehouse Theatre. The founders opened this theater in a former textile mill and quickly gained a reputation for their quirky and unusual productions. Many of the shows ask for participation from the audience, which helps you get involved and become a member of the show. New plays and performances start every few months. Some of the best artwork you ever saw before is on display at the GCMA. Unlike other art museums that focus more on traditional or contemporary art, this museum features a great combination of artwork from ancient times through the more modern era. The museum is open on Wednesdays through Sundays and does not charge admission fees. Andrew Wyeth used his rural beginnings as inspiration for some amazing watercolor paintings, and you can view some of his more popular pieces in this museum. GCMA is also home to many pieces created by artists from across the southern half of the country. One of the best places to see the beautiful nature of South Carolina is at Falls Park. Located in the historic West End neighborhood, this park is just steps away from downtown. Small benches in the park offer visitors the chance to take a load off and enjoy the sites and sounds of the animals and nature nearby. The park is also home to the gorgeous Liberty Bridge and several sculptures. You can easily spend a few hours walking around the park without seeing all the sculptures created by artists that are on display. College students aren't the only ones who flock to Bob Jones University & Museum every day. While you may want to take a tour of the university's campus on your trip, you'll also want to stop by the museum and gallery. The gallery boasts one of the largest collections of religious artwork in the world. There are more than 400 paintings on display from classic artists like van Dyck and Botticelli. The museum also houses the Bowen Collection of Antiquities, which has displays dedicated to antiquities found in ancient Egypt, Rome and other locations. Show little ones the exciting site of science at the Roper Mountain Science Center. The butterfly garden is a National Wildlife Federation Schoolyard Habitat and teaches students about the life cycle of these delicate creatures. Those interested in science might enjoy the Daniel Observatory, which gives them a better look at the sky above. You may like visiting the living farm area of the science center too. The living farm shows visitors what life was like for original settlers. The science center also has a planetarium, nature trails and a natural science museum. While the Roper Mountain Science Center is great for those who like science and nature, you might prefer spending your time in one of the local parks or museums. Call 1-800-436-8719 for a free quote on your next charter bus reservation in Greenville. WE can't thank Shofur enough for getting us a charter bus last minute form Greenville to the Clemson game. Go Tigers! No one does it better then Shofur. 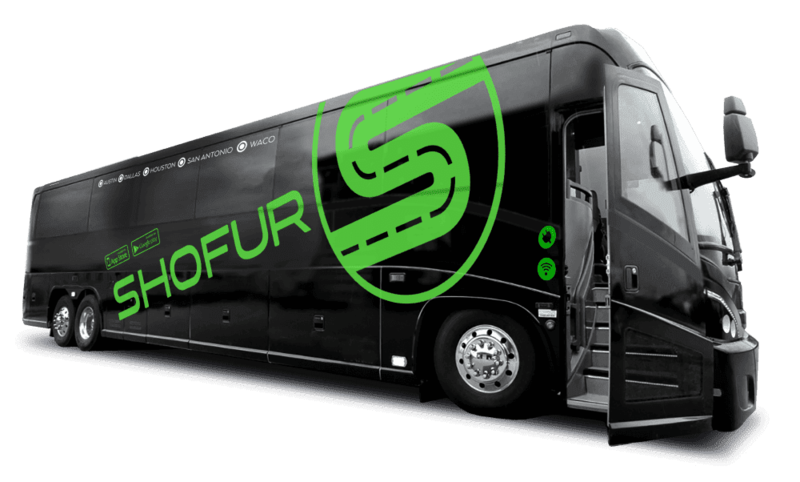 Shofur came to the rescue at 1 am when every other bus company didn't pick up the phone. Any advice on how soon we should book a bus for our school formal? Need a bus in Greenville for our event at Furman. ? As soon as possible because of availability purposes.